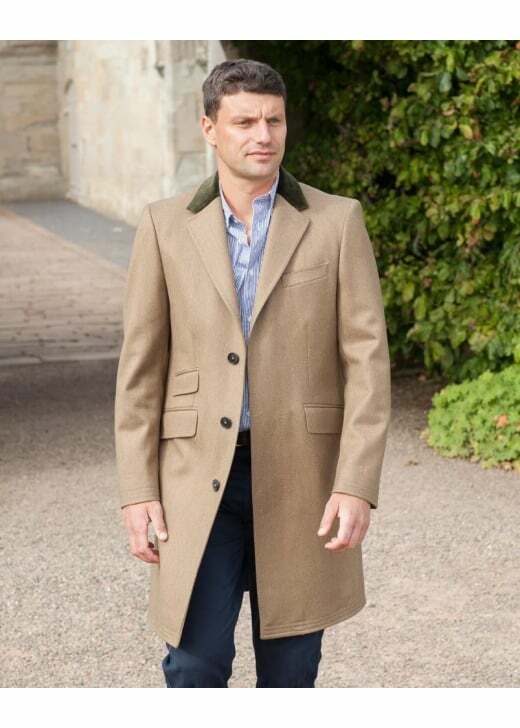 A core Crombie style for centuries, the Covert Coat is a traditional overcoat is made in England, from durable British-milled covert twill cloth. A core Crombie style for centuries, the Covert Coat is a traditional overcoat is made in England, from durable British-milled covert twill cloth. The distinct velvet collar gives it a sartorial edge appreciated by connoisseurs of urban or country style. Other features to have carried over from the Victorian age include the ticket pocket, and the multiple stitching at the hems which was originally designed to enable the wearer to cut their coat to size themselves.